I thought I would show you how I planned out my summer schedule. You can see I thought through the goals I wanted to work on with each child. 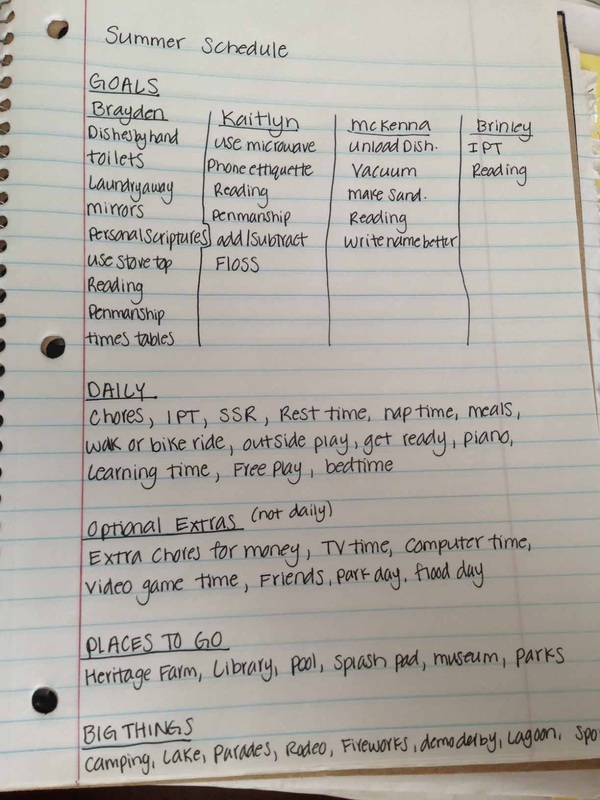 I also listed things that needed to happen daily, as well as other activities we could do throughout the summer. Then I laminated it. You could also put it in a page protector. The kids love to consult it to see what they should be doing or what is coming up that day. And there you have my process. 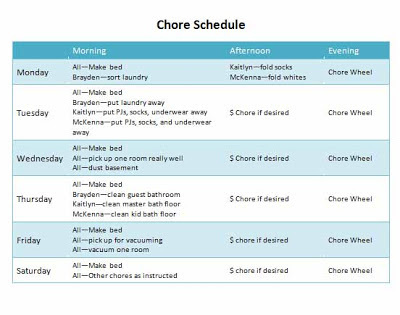 For more details on how I go through this process, be sure to see the post Planning Your Schedule for Multiple Children. Val, I found this super helpful. I've read your schedule posts before, but this post and the one on SSR, along with adding colors to my schedule, is going to make our summer fly. 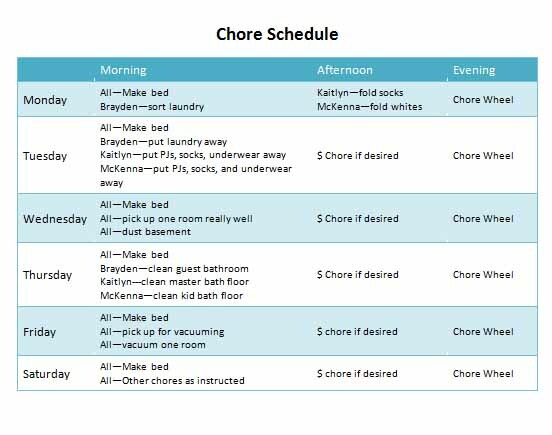 Any advice on moving schedule up: ie, waking sleepy heads so the day starts sooner/smoother and they will fall asleep earlier in the evening? We're struggling with this right now..she is hard to rouse, then it's a party at bedtime. 🙁 I see this summer as Kindergarten prep for my 5 year old, so I really need to retrain her body clock now. Also, I added SSR to our schedule and I've put it between lunch and storytime. Is that an ok time for it? Thanks! SSR time sounds great Rochelle! I like it in the heat of the day so kids can be inside where it is cool and just regroup. It helps for the non-nappers to have some rest time, too. For the kids you need to get up earlier, I would take it like a time change and just move things up in 15 minute increments at a time. I need to do this for McKenna this summer, too, because she will be starting preschool about 30 minutes after her current wake up time. 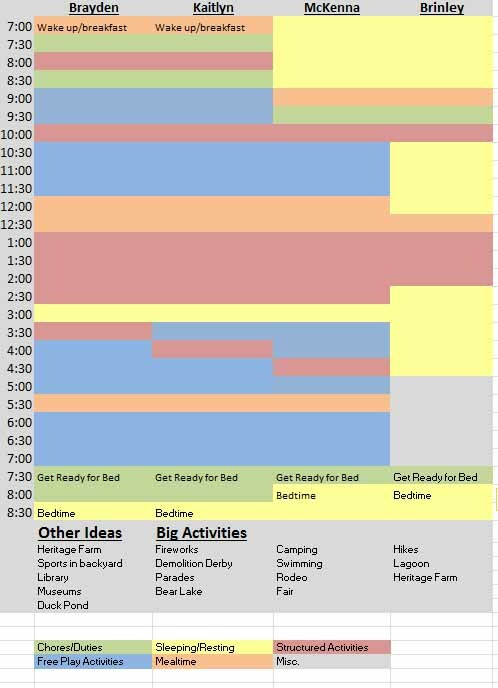 But we are often out late for summer activities so her current schedule is perfect for our family…I think I will work on her wake up and bed time about a month before her school starts. Tiffany I do not think that is silly at all! I think it is very smart.I always cleaned in front of Brayden, and he was so interested in it. I think kids–espeically the oldest kid–want to be like their parents, so if they see you cleaning, they will want to clean.Have her watch you and let her help where she can. Brayden would hold on the vacuum with me before he was one, he would hold a dust rag with me, he would "help" me fold laundry, and he would hold a little broom while I swept. I also had him clean up every time he was done playing with something. A one year old doesn't help much if at all, but if you do it "together" they will eventually start helping.For more, see my post "creating a good helper"